Storm Angus hit Cornwall on Saturday night 19th November 2016. 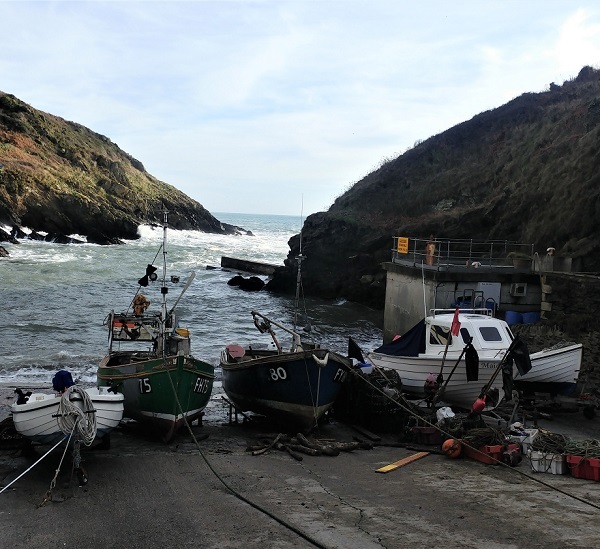 We walked down into Portloe the next morning to see the aftermath. Portloe is a tiny fishing village on the south eastern coast of Roseland in Cornwall. Saturday was calm and mild. The Ship Inn was looking picturesque. 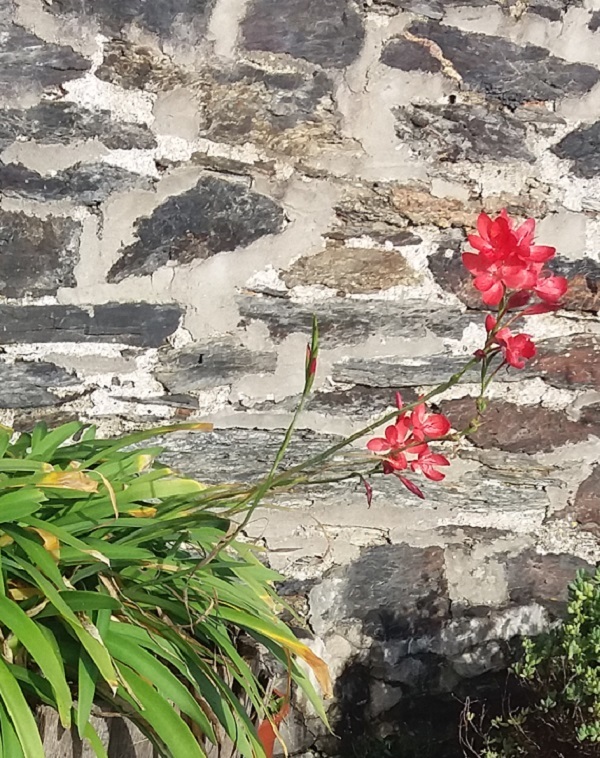 Hesperantha (or Schizostylis) flower into winter in many parts of Cornwall. 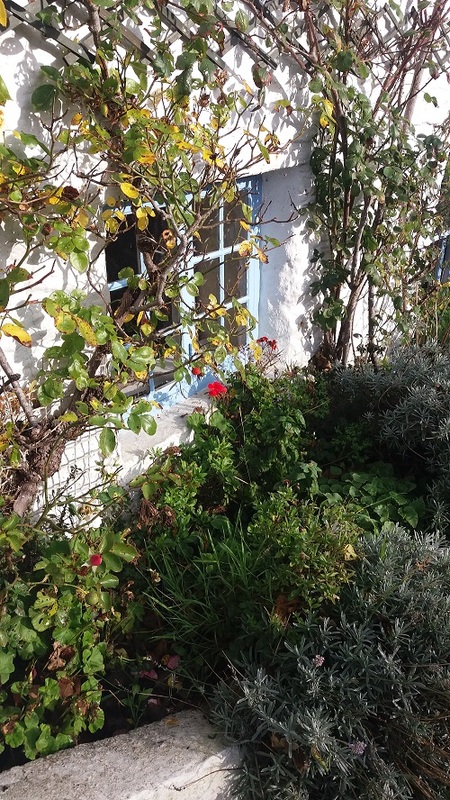 The plant below is flowering against a front south-facing wall. They like the mild wet winters. 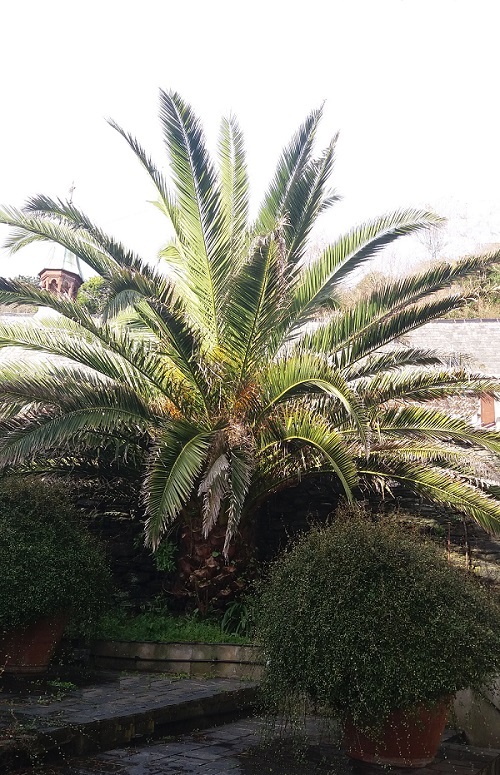 There is an impressive palm just above the Harbour in a sheltered spot. It looks like a Canary Palm. 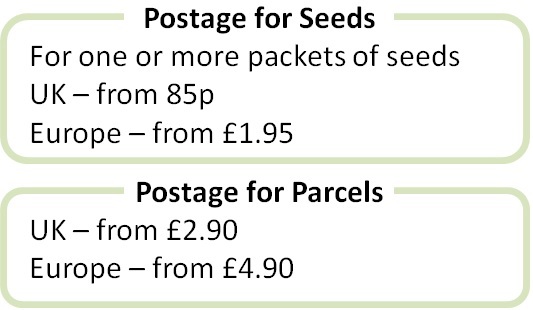 They grow in warmer parts of the UK such as Cornwall. I like this Northern approach to Portloe. The South West Coastal Path comes over the top of the hill. 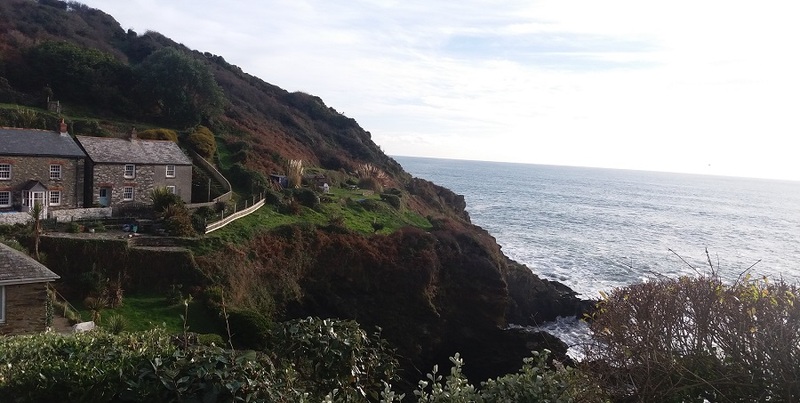 On the right is a small garden hanging perilously over the cliff.